Indians are price conscious and An Internet savvy online customer usually have most of the information about what to buy but when it comes to where to buy from, user spends lot of time researching various sites and spending a lot of time and yet not ending up by picking the site that offers the respective product at least price. MyLeastPrice helps users Compare the price of a given product on all leading eCommerce sites in India and help users save time and Money. MyLeastPrice is the only Comparison site that offers Extra Cashback to its registered users on every successful transaction. They also allow users to click thru the retailer’s link and enjoy shopping with his preferred retailer yet earn Extra Cashback on every transaction. 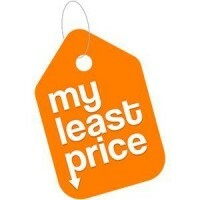 MyLeastPrice is one stop shop for various online shopping needs. User can Shop across all leading eCommerce sites and can buy Electronics, Fashion, Groceries, Pay Bills, Recharge Mobile & DTH, Book Bus & Hotels and many more. Their USP is CASHBACK and they offer up to 30% Cashback for purchase made thru their site. Cashback % is depending upon which store and Category user is shopping from. Their cashback policy is transparent and user can get the details of % Cashback by entering the store and category details in the search bar. Their Our Philosophy is to be one stop shop for Online shopping needs that provide deals across all leading eCommerce portals and make users Shop and earn Extra Cashback every time.